Editor’s note: Register for upcoming webinars and view completed webinars on demand. The Urban Wood Network presents the “How To Do Urban Wood” webinar series. Each month a panel of experts in the urban wood field will share how they have successfully utilized urban wood. Enthusiasts from every link of the urban wood supply chain will gain a better understanding of how others in every link of the supply chain have successfully been involved in utilizing urban through their own ingenuity and through networking with others in the urban wood community. The Urban Wood Network invites municipalities, arborists, sawyers, woodworkers and all others interested in helping advance the urban wood movement to participate in one or all of these four 90-minute webinars. Lumber made from urban wood has unique and valuable attributes but urban logs can be difficult to process/saw. 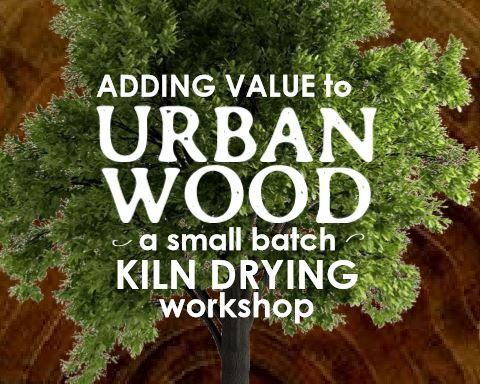 Urban wood is a legitimate source of lumber products, this webinar will have examples of: various sawing methods for producing urban lumber, lumber drying strategies, and how to market what you produce. Consumers from all over the country are joining the urban wood movement and are buying urban wood products in all shapes and sizes, from cutting boards to fine furniture to architectural lumber. This webinar will discuss examples: of urban wood products, urban lumber sourcing, and examples of local/ regional/national markets. Rocky Levy – Icon Modern, IL. The Urban Wood Network was founded in 2017 by individuals and entities who have been dedicated to building urban wood businesses since the early 2000s. We’ve learned that the only way to have a substantial impact, to truly establish full circle urban forestry management, is to work cooperatively from municipality/arborist to value-added manufacturer on a local level. A cohesive supply chain is the only way to get the highest product from these trees. Now, we want to use our collective experiences to assist businesses and others to join this developing industry. This webinar will give an overview of the urban wood movement, provide examples of: different state/regional networks, potential funding options, different organizational structures, and how you can start your own state network. For more information, contact the Urban Wood Network at 906-875-3720 or info@urbanwoodnetwork.org. This project is supported by the USDA Forest Service Northeastern Area, State and Private Forestry Landscape Scale Restoration Grant Program. What can we do with urban trees after they need to be removed? Two upcoming workshops help answer that question. The workshops are being held to promote the launch of the Michigan Urban Wood Network, a new group focused on finding the highest and best use for trees removed from Michigan’s community landscapes. Each event will begin with overview presentations by area experts and will follow with hands-on field demonstrations. Pre-registration is required. Cost is $35 for each workshop and includes full lunch. Please notify the planning team of any special dietary needs after registration. WHEN: Monday, July 9, 2018 – 9:00 a.m. – 5:00 p.m. WHEN: Tuesday, July 10, 2018 – 9:00 a.m. – 3:30 p.m.
Qualify to win a free workshop registration! Please help us understand your organization’s needs better by completing one of our surveys: Sawmill Survey or Municipal & Tree Care Industry Survey. The Michigan Urban Wood Network (MUWN) has launched a new website: MiUrbanWoodNetwork.com. The new website coincides with efforts to create a state-wide network of urban wood stakeholders from arborists and tree care professionals through sawyers and woodworkers. The Michigan Urban Wood Network will build on the foundation of the Urbanwood Project which began in 2005 as part of Recycle Ann Arbor and the Southeast Michigan Resource Conservation and Development Council’s efforts to encourage more recycling of dead urban trees, especially those killed by the emerald ash borer. Among other things, local member sawmills sell urban wood lumber and slabs through the Recycle Ann Arbor ReUse Center and Habitat of Humanity ReStores. The MUWN is supported by the USDA Forest Service Northeastern Area, State and Private Forestry Landscape Scale Restoration Grant Program and is organized by the Sustainable Resources Alliance. Additional assistance comes from the Michigan Department of Natural Resources. In addition, the MUWN is affiliated with the Urban Wood Network, which also includes urban wood utilization organizations in Illinois, Missouri and Wisconsin. Membership to the Michigan Urban Wood Network is available to businesses, organizations and individuals interested in finding the highest and best use of Michigan’s urban forest resources. A listing on the group’s website is open to all who agree to the basic membership tenets of the Urban Wood Network. 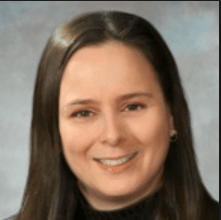 Laureen Blissard, technical director for the GreenBuilder Coalition and principal of LTLB Envirotecture of Naperville, IL, is a strong advocate of environmental sustainability, including urban wood utilization. Read the full interview with Laureen Blissard on UrbanWoodNetwork.org.